Momotaro, the Peach Boy, is a well-known hero of Japanese folklore. He came floating down a river in a giant peach and an old couple brought him up. 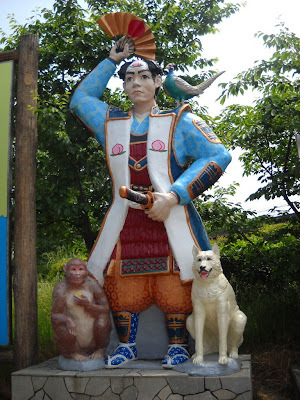 He went to fight demons – oni – on some island, and on his way there he befriended a dog, a monkey and a pheasant, by offering them kibi-dango, millet dumplings, a specialty of Okayama. 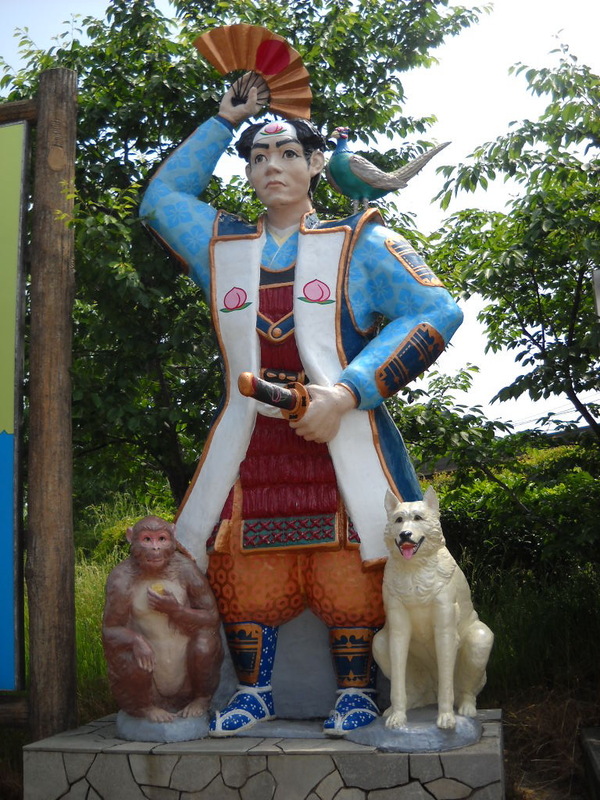 Momotaro story is associated with Okayama. He is a model for his kindness and bravery. I took this photo while crossing Okayama prefecture.